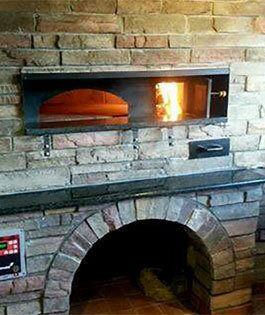 The Inferno Series ovens are serious production revolving brick ovens. 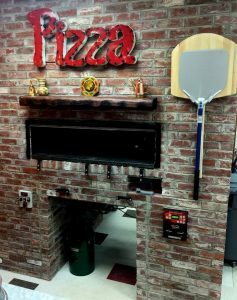 Wood Gas combination for every style of pizza. 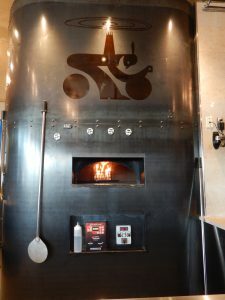 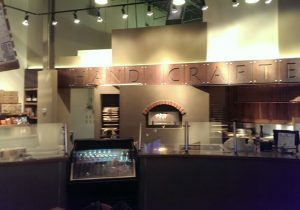 If you want to produce Neapolitan pizza no problem the oven has a cooking range from 600f to 900f and can produce hundreds of pizza per hour. 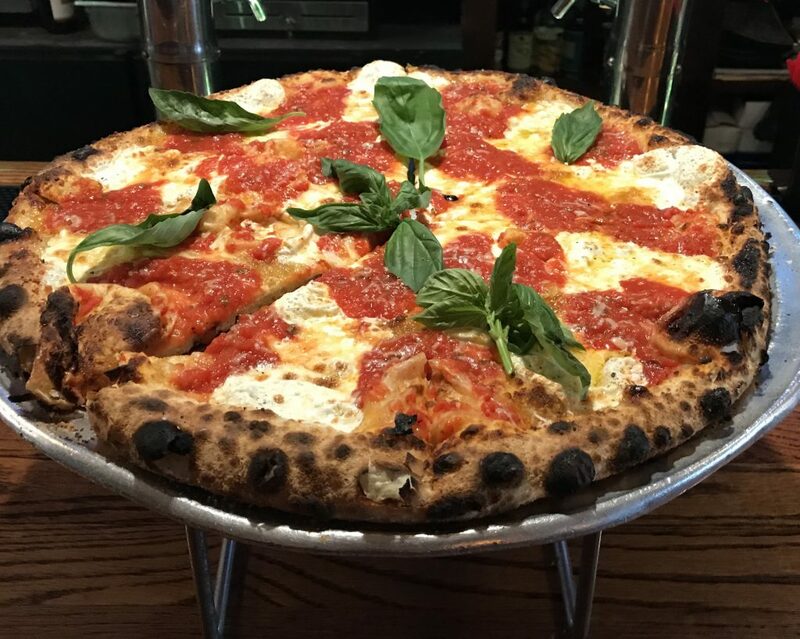 This beautiful pizza was cooked at 800f The dough was hydrated at 60% and topped with fresh mozzarella and crushed tomato. 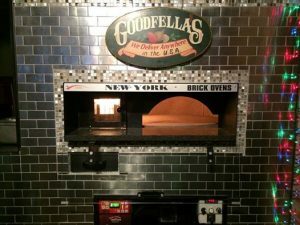 We call this style New York Brick Oven style. 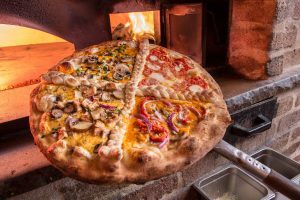 This style is famous in New New York at places like Patsy, Tottonos, and Lombardi’s Pizza The first Pizza shops in New York and are still going today. 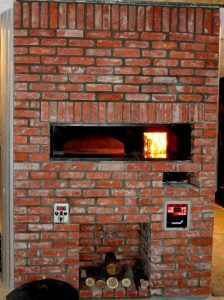 The Inferno Series Oven Come Facade Ready and can be installed through any 36″ door. 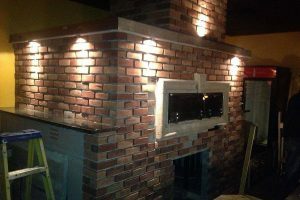 We make the whole experience easy for you and your team. 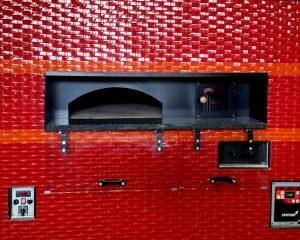 The ovens can remain like they are with the beautiful red metallic faced or can be decorated in any style you can imagine. 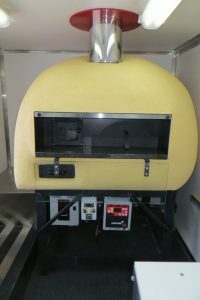 Some of our clients have done incredible jobs, so here are some cool looking ovens. 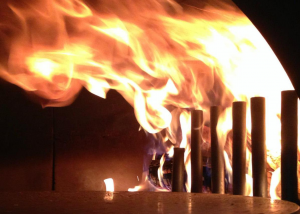 Big John Showing of The Inferno Series Wood Gas Oven in Cleveland Ohio. 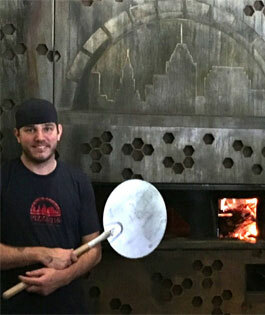 He was voted Best pizza In Ohio and also attended the pizza school of New York To Learn with the Best. 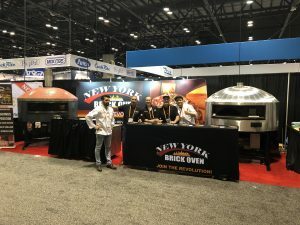 So When It Comes to Revolving Brick Oven Creations Let Your Imagination Run Wild With The New York Brick Georgia Oven Company!